Arrive at Cochin and proceed to Munnar. Arrive at Cochin and Proceed to Munnar (130 kms - 3.5 hrs). Munnar (5000+ ft asl) is a tea plantation region and a renowned Hill station in the plantation highlands of Kerala offering guests an experience of misty & salibrious climate and a relaxed stay around the tea plantations. Evening explore local market for shopping and visit Mattupatty Dam for boating. In the evening visit the Punarjani Traditional Village that offers daily evening shows of Kalaripattu (Martial art form) and Kathakali (Dance form). Sightseeing In and around Munnar Opt for one or two of the Mini-Excursions ex-Munnar such as Marayoor (Sandalwood Forests - 40 kms), Top Station (Highest view point in the area - 40 kms). Visit Kannan Devan Tea Museum and Attukal Waterfalls (8 kms from Munnar). Proceed to Kumarakom. Possible visit to Kumarakom Bird Sanctuary. Proceed to Kumarakom (150 kms - 4.5 hrs). Kumarakom is a destination renowned for lakeside experience offered by premium / luxury hotels. Visit the Kumarakom bird Sanctuary (Boating, 1.5 hour walking trail, Bird watching) OR Enjoy the lakeside experience. Proceed to Alleppey boat Cruise Jetty. 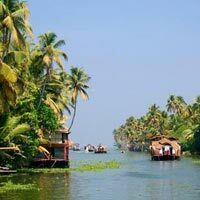 Alleppey round houseboat cruise. Proceed to Alleppey houseboat Jetty (33 kms - 1 hr). 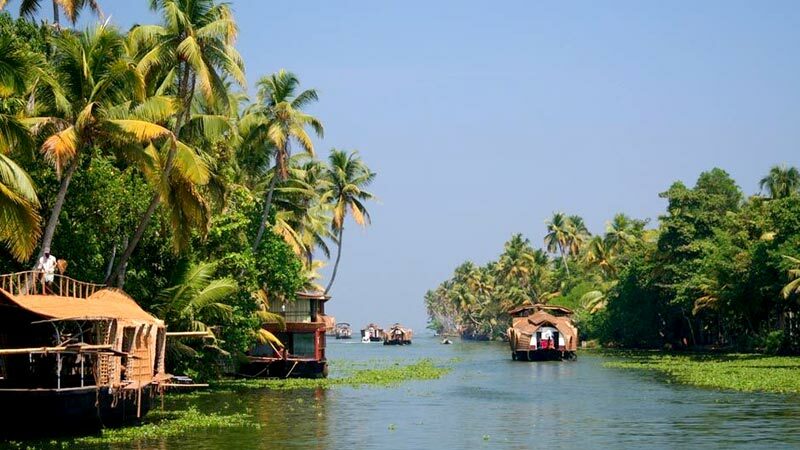 Alleppey is renowned for its lakeside and backwaters and character and what gives Kerala the name "Venice of the East". Reach before 12 noon. Alleppey round of Houseboat Cruise. Overnight stay in Alleppey Houseboat. Departure Disembark at the jetty at 10 AM and depart to Cochin (75 kms) for onward journey.